This statistic gives information on the search engine usage of internet users in the United States as of May 2011. 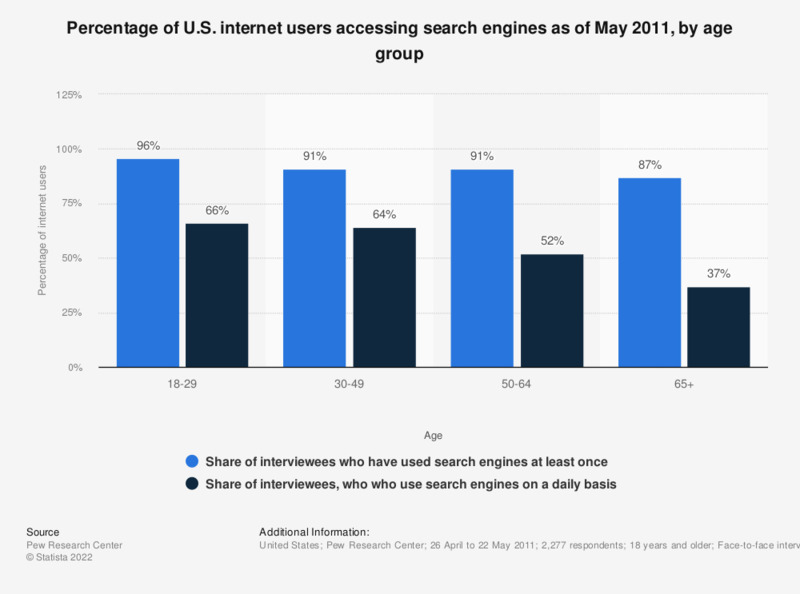 During a survey, it was found that 66 percent of online adults aged 18 to 29 years used search engines on a typical day. Which of the following search engines do you know?